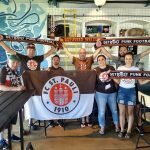 The 2018-19 FC St. Pauli season began with a bang as NordAmerikurve came out in force to cheer on the Boys in Brown in a convincing victory against FC Magdeburg. And there were many highlights on top on the Buchtmann and Knoll goals for us in NordAmerika. 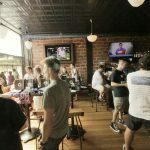 The Buffalo club celebrated its first anniversary at its home at Mes Que in a big way, with the many attendees raising over $600 and gathering many cleats, all for the Jouneys End refugee football team. 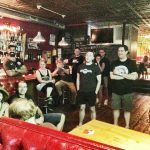 It’s been a remarkable year for this fledgling club and a lot to celebrate. NordAmerikurve grew in the offseason, and two of the newest clubs – Detroit and Ohio – held their first match viewings. We can expect many great things from these enthusiastic clubs. 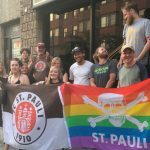 Our oldest, most established club – FCSP NYC – held their annual BBQ before recessing to the cool, dark confines of the East River Bar for the match. A great time was had by all. 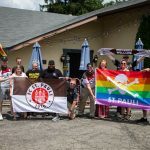 FCSP Toronto Fans gathered for the first time in their new home The Dock Ellis and were joined by visitors from the Hamburg area to take in the match. On top of that, they raised $200 for their new charity partner Newcomers Kitchen. 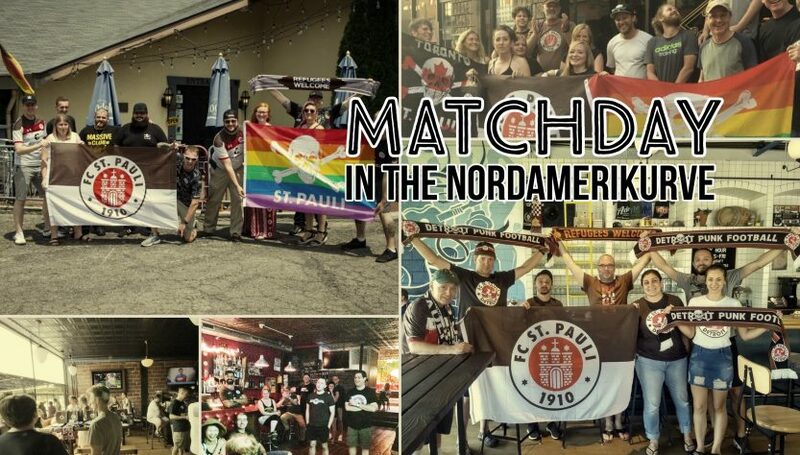 With new clubs in the NordAmerikurve every month it seems, we look forward to more viewings and other events across NordAmerika, all to share St. Pauli football and values.